Seeking contributors for Issue 8. 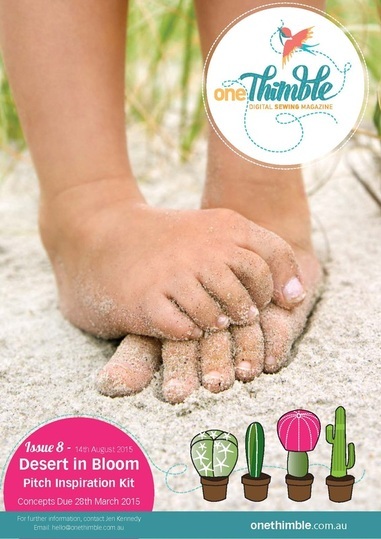 Are you keen to submit a pattern to Issue 8 (14th August 2015 release date) of One Thimble Digital Sewing Magazine? To make a “pitch” email me for a copy of the “Pitch Inspiration Kit”and then send through your pitch no later than 28th March 2015. Some patterns can be made to “fit”the theme by fabric choice – so if your idea is independent to a theme please don’t be put off applying. I’m trialling doing it this way as taking submissions at the same time makes it easier to choose patterns that will work well together. Some days I’m a real idiot! 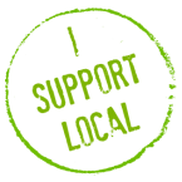 “I Support Local” is so much bigger than just handmade. 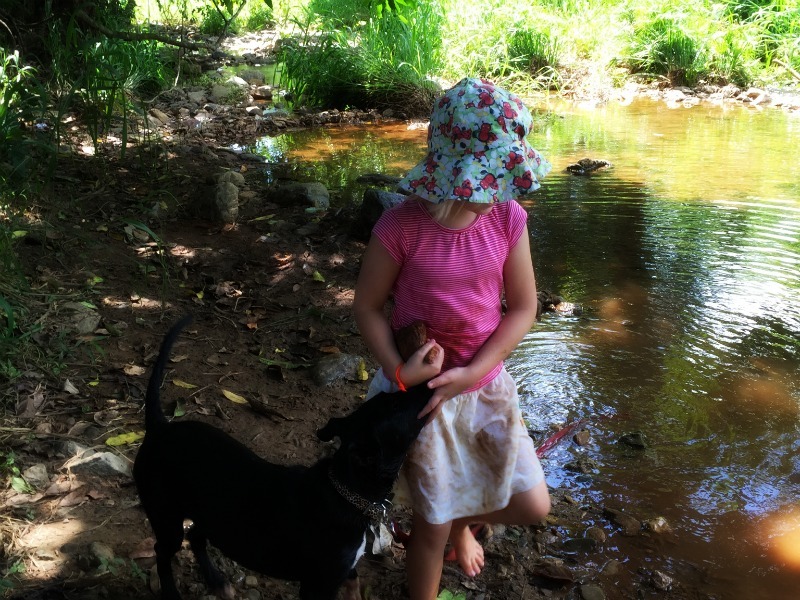 It has been typical wet season weather here in Cairns and Lexie (our 6 month old Kelpie cross puppy) is going stir crazy, so I decided to go and get her the biggest bone she’d ever seen!!!! I always buy our meat while doing the groceries and in the twelve years we’ve lived here I’ve never been to the local butcher. To be honest it’d never actually occurred to me to buy my meat anywhere except from the grocery store. But I was on a bone mission, so today I went to the butcher. The butcher seemed grandfatherly (not at all like I’d expected), his wife was packing orders and a younger man (apprentice?) was there too. I told them what I was after and why and that Lexie is our first dog and that I wasn’t really sure what sort of bone would be suitable (I’m the Queen of TMI). He asked me about her breed and size and disappeared out the back. While he was gone his wife asked me about my plans for the weekend and I read the pin board – adverts for other local businesses, a school looking for host families, someone looking to sell their puppies . . . but I still didn’t get it. The butcher came back with a massive bag of bones for Lexie. I had my money out and asked him how much and he said, “Oh no, nothing for them, hope your dog likes them. Maybe one day if you’re looking to buy some beef you might think of coming here”. And BAM! It hit me. 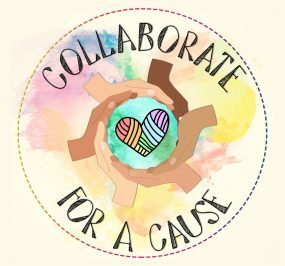 Local businesses aren’t all pretty, they’re not all “handmade” or “crafty”, they’re not all the sorts of jobs I’d like to do, but they’re run by real people who’re part of their communities. People who’re trying to make a living and support their families and if they can help the local school find host families then they’ll stick that poster on their wall. So even though some days I’m a real idiot and somehow miss seeing what’s right in front of my nose, I’m prepared to learn and next time “I’m looking to buy some beef”, you know where I’m heading! 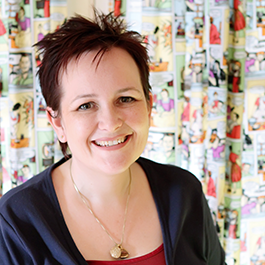 I was really excited when Kylie from Little Moo Designs pitched her idea for a “Sewists Gift Guide” article for Issue 6 of One Thimble to me. 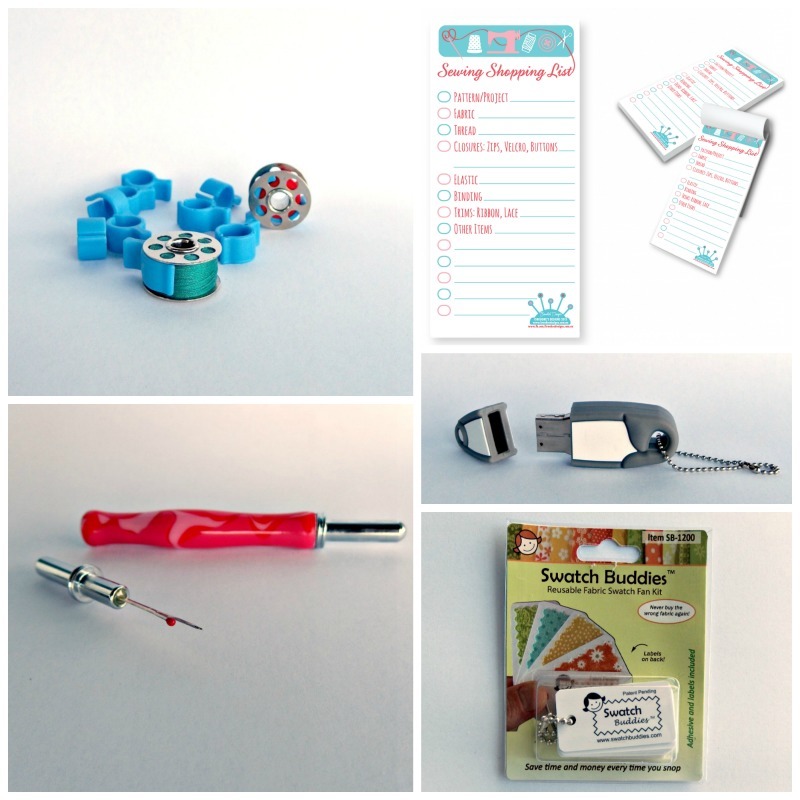 I love sewing gadgets and gizmos. When the samples started arriving at my place I was even more excited!!! Check these out! Thanks to the generosity of these companies & Kylie we have one of each item to give away to a lucky One Thimble reader!!! 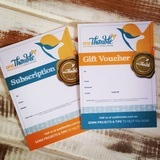 To go in the draw all you need to do is follow the link from your copy of Issue 6 of One Thimble (before 27th February 2015) and fill out our anonymous survey (we’re conducting the survey to help us make OT exactly what you want it to be) then after your survey has been submitted enter your contact details to go in the draw – it’s that easy! 1) One entry per reader. 2) You must purchase a copy of One Thimble, follow the link & fill out the survey to go in the draw. 3) The winner will be chosen randomly. 4) International participants are welcome to enter (postage to you will be covered). 5) My decision is final and no correspondence will be entered into. 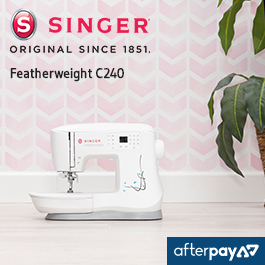 If you make or know of a product like these that would be perfect for a Sewists gift be sure to get in touch – we’d love to hear from you & tell our readers all about your product! 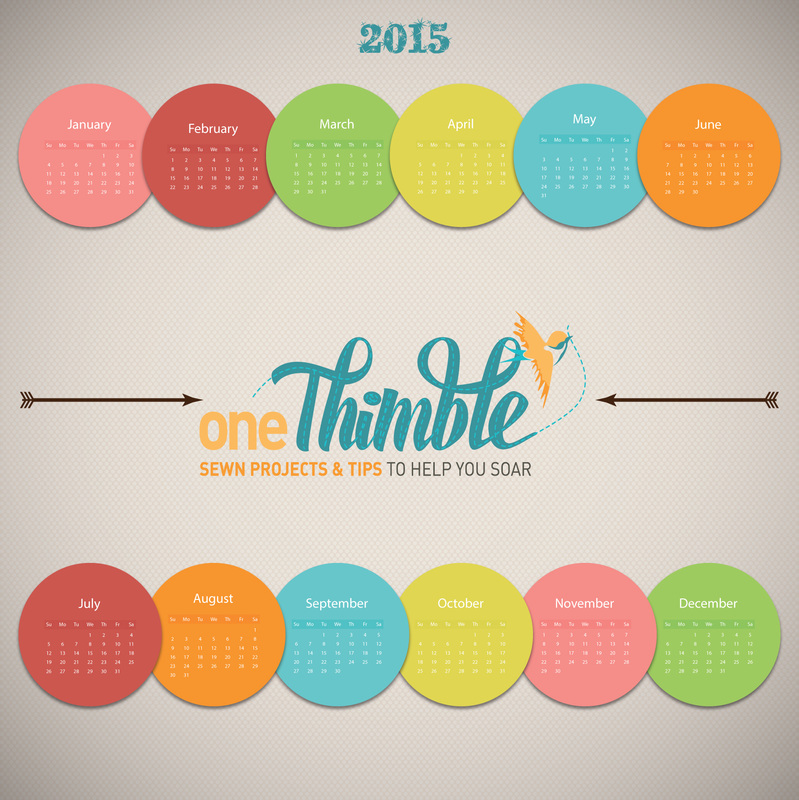 Issue 6 of One Thimble Digital Sewing Magazine is available to purchase HERE after 13th February 2015. Thank-you for so much for your support in 2014. Wishing you everything you would wish for yourself in 2015. I can’t wait to see what comes next! To thank-you for coming along for the ride please enjoy this 2015 calendar. The link to download it is below! Thank-you so much to all the Enthusiastic Sewists who made suggestions as to what they’d LOVE to see in a One Thimble Index! 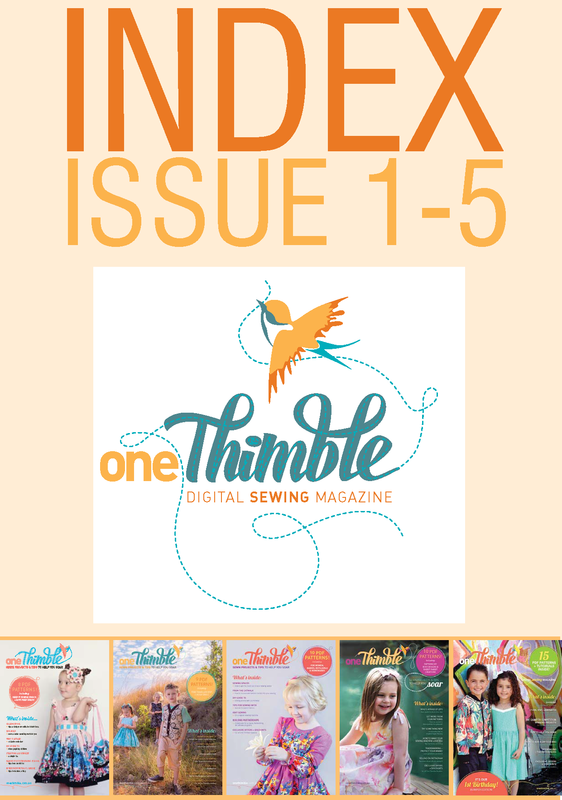 The Index is now live and I hope that it makes it an absolute cinch for you to utilise your One Thimble back issues! Click words above to download. You can use this free download to find which Issue of One Thimble, articles and patterns you might be searching for, have appeared in! Then use the included Contents pages to pinpoint the exact page you’ll find them on in that issue. 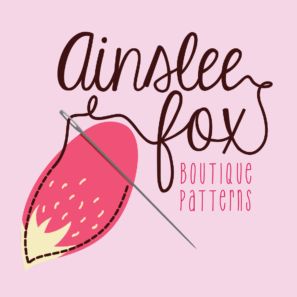 It also includes links to pattern hacks for One Thimble patterns. I hope this handy resource is exactly what you need to help your sewing soar this Holiday Season. 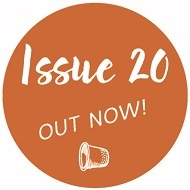 If you find you’ve missed an issue be sure to add One Thimble to your Wish List!Gift Vouchers & Subscription Cards are available for postage to Australian addresses right now from HERE & HERE.